File this one away under Poetic Justice: the largest ever federally owned wind power project just broke ground at the Pantex Plant in Amarillo, Texas, which happens to be the nation’s #1 facility for maintaining its nuclear weapons arsenal. The project, which consists of five Siemens 2.3 series turbines with a combined capacity of 11.5 megawatts, is expected to provide more than 65 percent of the facility’s power by next summer. The wind farm project is also significant because of its location in Texas, which despite its long history as the heart of the U.S. oil and gas industry also happens to be the largest, fastest-growing wind power market in the U.S. by a wide, wide margin. The new Pantex Plant wind farm was announced last January and just broke ground this week. Occupying about 1,500 acres, it will generate about 47 million kWh of electricity annually under a power purchase agreement with Siemens Government Technologies. Savings from the low price of wind power will go toward paying off the cost of the wind farm, so there is no up-front cost to taxpayers. We’re looking at an average savings of $2.9 million per year for wind power over the 20-year life of the contract. The project will also double as a research site for Texas Tech University, which is already partners with the Department of Energy in a wind farm research project in Lubbock. We’ve spent some time talking about GE’s next-generation “brilliant” wind turbines, so it’s only fair to check into the tinkering that Siemens has done with its turbine tech. Aside from the use of a “smart” wind farm management system the company calls Siemens NetConverter®, one key thing to note is the emphasis on reducing the need for routine maintenance. which makes a lot of sense when you consider the work hazards involved in the“turbine cowboy” field. The company’s SWT-2.3-93 wind turbine, for example, features automatic lubrication and a simplified generator system engineered without slip rings, along with internal climate control. Siemens must be doing something right because even without all the up-to-date bells and whistles, the company notes that its first commercial wind turbine was installed in 1980 and is still operational. It also installed more than 1,100 turbines in California in a seven-year period ending in 1990, and 97 percent of those are still cranking out power. As for that aforementioned Texas wind market, according to DOE by the end of last year Texas boasted a total installed wind capacity of 12,214 megawatts, which is double that of the next-highest state. If Texas was its own country (wait…it isn’t? 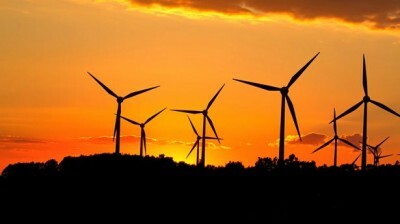 ), it would have more installed wind capacity than all but five other countries in the world. It’s not just generating capacity, either. Texas is also the site of the largest wind energy storage facility in the U.S., a new, 36 megawatt behemoth at Duke Energy’s Notrees Windpower wind farm in the western part of the state engineered by the Texas-based company Xtreme Power. The project is a partnership with DOE under a matching grant of $22 million under the federal Recovery Act of 2009, so go ahead, say it…We built this! But wait, there’s more. Xtreme Power is also collaborating on a new utility scale smart grid projectwith Samsung SDI, which completes the trifecta of clean energy generation, storage and transmission. If you think Texas is a hot wind power market now, you ain’t seen nothing yet.